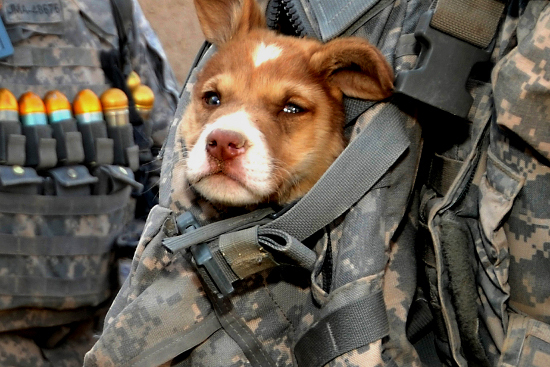 US soldiers from the 1st Battalion, 17th Infantry Regiment at Combat Outpost Jeleran, Afghanistan carry "Cookie," the unit's unofficial mascot. US Air Force photo by Tech. Sergeant Francisco V. Govea II.